From the first to the last minute of this 5-hour performance John Nelson expertly controlled the timing, the polyphony, the balance of the powerful orchestra and choruses, reducing them to a minimum for the Dido and Aeneas love duet, and the intensity and tension of every phrase of this score, which he had totally mastered. This score, which for a long time was said to be unplayable, was here realised to perfection, and was held aloft before the audience at the final applause. Internationally renowned for his interpretation of the large Romantic repertoire, including the great works of Berlioz, John Nelson has conducted most of the world’s top orchestras including the London Symphony, Orchestre de Paris, Leipzig Gewandhaus, Orchestre Symphonique de Montréal, Chicago Symphony, the Boston, Philadelphia and Cleveland Orchestras and the New York Philharmonic. 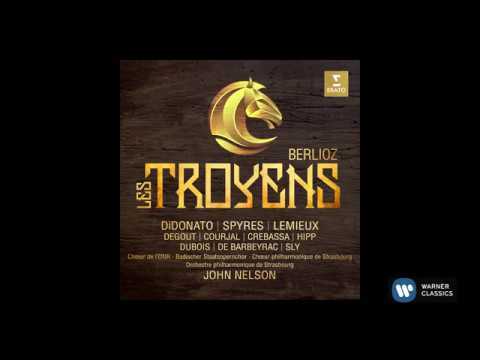 John Nelson’s varied repertoire has also taken him to many of the world’s major opera houses, including the Metropolitan Opera, the Chicago Lyric, Opéra Bastille, the Teatro dell’Opera di Roma, the Grand Théâtre de Genève, Dutch National Opera and Oper Frankfurt. John Nelson is recognised on the international scene as one of America’s most eminent conductors. He studied at the Juilliard School in New York, where he received the Irving Berlin Conducting Prize. He has been the Musical Director of the Indianapolis Symphony Orchestra, the Opera Theater of St. Louis, the Caramoor Music Festival in New York and the Chamber Orchestra of Paris. He has also been the Principal Guest Conductor of the National Orchestra of Lyon, Artistic Advisor of the orchestras of Nashville and Louisville, and is presently the Principal Guest Conductor of the National Orchestra of Costa Rica, the country in which he was born to American missionary parents. In the course of his career he has conducted virtually all the major orchestras in the United States and Canada, including those of New York, Chicago, Philadelphia, Cleveland, Boston, Los Angeles, San Francisco, Montreal and Toronto, and also in Europe, where he has conducted all the major London orchestras, the Dresden Staatskapelle, the Leipzig Gewandhaus, the Chamber Orchestra of Europe, the Academy of St. Martin in the Fields, the Orchestre de Paris, the Oslo Philharmonic, the Czech Philharmonic, the Budapest Festival Orchestra and all the major orchestras in Spain. In Asia he has conducted the New Japan Philharmonic, the Singapore Symphony Orchestra, the Malaysian Philharmonic, the Hong Kong Philharmonic, the China Philharmonic and the orchestras of Shanghai, Guangzhou and Hangzhou. His large repertoire has led him to the world’s great opera houses, including the Metropolitan Opera, the Chicago Lyric Opera, the Bastille in Paris, the Stuttgart Opera, the Grand Théâtre in Geneva, the Dutch National Opera and the Teatro dell’Opera di Roma. John Nelson is recognised as a great interpreter of the sacred music repertoire. In 1994 he co-founded SOLI DEO GLORIA, an organization based in Chicago that commissions works of sacred music from the world’s foremost composers, such as Christopher Rouse, James MacMillan and Roxanna Panufnik. Maestro Nelson’s distinguished discography includes Händel’s Semele (Grammy Award 1993), Berlioz’s Béatrice et Bénédict (Diapason d’Or 1992) and highly acclaimed DVDs of Bach’s B minor Mass and St. Matthew Passion, Haydn’s Die Schöpfung and Beethoven’s Missa Solemnis. He also recorded the complete Beethoven Symphonies and Piano Concertos with the Orchestre de Chambre de Paris, of which he is Honorary Musical Director. His latest critically-acclaimed recording of Berlioz’s Les Troyens with Joyce DiDonato and Michael Spyres has been a great recognition of his work and authority as an outstanding Berlioz specialist, crowned by the Gramophone Magazine ‘Opera Recording of the Year’ and also classical ‘Recording of the Year’, among other prizes including the BBC Music Magazine Award for Opera and the International Opera Award. Following this tremendous success, John Nelson will be returning to Strasbourg Philharmonic, for further recording projects including the Damnation of Faust and Romeo & Juliet, once again with Joyce DiDonato and Michael Spyres. Further engagements for the 2018/19 season include performances of Massenet’s Werther at the Wuppertal Opera, Le Nozze di Figaro at the San Diego Opera, Berlioz’s Damnation of Faust at the Opéra de Nice, performances with Beethoven’s Missa Solemnis in Paris’ Notre Dame and in Geneva’s Victoria Hall, as well as an all Berlioz programme at the Prague Spring Festival to commemorate the 150th anniversary of the composer’s death. Once again, John Nelson showed himself to be the most wonderful of maestri, who offered the public a tremendous performance.… His prescient, precise cues and musical directions left nothing to be desired. Everything was just right, and the resulting performance was extremely and wholly gripping. The conductor John Nelson was clearly born with Berlioz in his genes and his commitment to its enchanting ballet interludes and martial swagger, as well as it impassioned romantic idealism, is absolute. 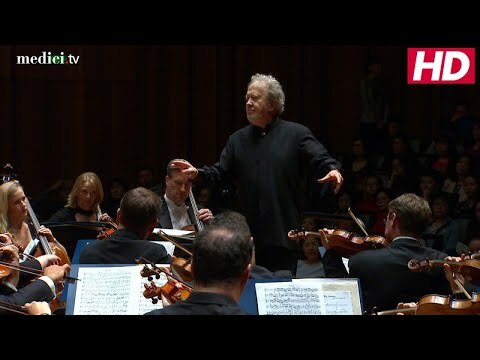 At present there are few conductors who, like John Nelson, can rightly be called 'Berlioz experts.' The Museumsorchester was transformed under his conductorship. The realisation of the instrumentation was breathtaking, unusual colour combinations emerged so naturally, the flow from light to shade was so transparent, so gripping the sprays of sparks, the dynamic peaks. And it was a joy to hear the choruses and singers being not only led, but lifted, transported. They seemed to be electrified, a current passing through them, from the triumphant opening notes to the final chord. John Nelson proves to be a master at the desk of the Frankfurter Opern- und Museumorchesters and treats the drama of the music with differentiation. At the end of the evening he is deservedly greeted with tumultuous applause. We must first of all honour the energy and impeccable conducting of the renowned Berlioz expert, John Nelson. He was in total control, and directed the 350 performers in this great Romantic opera with perfection. John Nelson took everyone to the summit. He has an intimate knowledge and a true vision of Les Troyens, developed over many years. He drew back the bow to its limit and made of this concert a great theatrical experience. John Nelson conducted and the orchestra (New York Philharmonic) produced the liveliest, most polished and committed playing I have heard from it this season. Maestro Nelson succeeds in giving us a recording (Handel L'Allegro, il Penseroso ed il Moderato) that - in its ideal balance and crystalline clarity - is texturally superior, properly weighted at the appropriate points, and offers fastidious attention to the most minute details. The result is a presentation that is exceptionally imaginative and rewarding throughout, one that decidedly deserves a niche in our Classical Hall of Fame. Quite simply, one of the most exciting experiences this listener has ever had in the concert hall. John Nelson...clearly has the measure, as much as anyone, of this score (Beethoven Missa Solemnis, European Chamber Orchestra) and succeeds in conveying the urgency of his view with gestures and expressions that are eloquent and undemonstrative. It seems unlikely that Beethoven's vision in this work will ever be more completely captured. What was offered was the finest music expressed with the highest sensitivity…elegant and virtuosic, a profoundly un-pretentious expression and dance-like grace became, under the sovereign direction of Nelson, a radiant painting of sound. John Nelson's temperament and heart return to some identifiable signposts for those who are drawn to the inner wonders of this visceral and shimmering journey... the corporate momentum in this reading is quite compelling... Nelson gets to the core of this work with his avuncular didacticism and genial control... true characterisation, tenderness, ardour and an attentiveness to detail [Schola Cantorum of Oxford] which fuels Nelson's rounded and mature vision of the St Matthew.